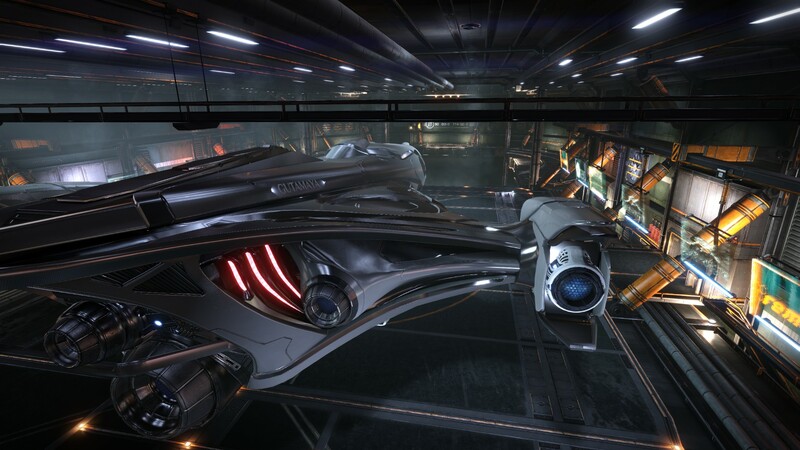 The HSV Honor and it's crew has completed its journey to Jacques Station. As the cargo was unloaded some of the crew shed a tear for the departure of the Xihe Companions. While docked we received a call from the Sovereign. He had great news... so he said. The HSV Honor was to convert into a mining vessel and assist in the creation of an outpost. Our return voyage will have to wait. There were some modules that were engineered upgraded that we could not replace out in the frontier. There are also a limited selection of modules at Jacques Station, so the plan was to only modify the extra cargo racks. The swarm of limpets is nice. Our Mining venture has come to a premature end. The station is currently locked down and the necessary infrastructure to continue has become unavailable. We were able to re-sell the mining equipment and take on some extra exploration equipment. We now have a reduced cargo bay, a surface scanner, and an SRV bay. We were expecting more stock of Jaques Still to bring back to Selous Horizons for the Sovereign, but he will have to settle for eleven tons. Our course is plotted, and the crew is ready to return to the black for the long journey home. You've already had a pretty amazing journey! 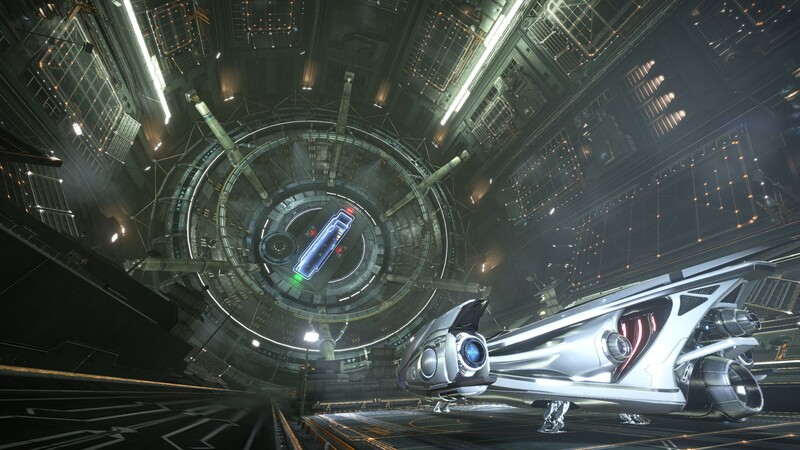 Will you be scanning a lot of systems on the way home? Scanning has been pick and choose. During fuel scooping our Navigator takes a look at the system, and alerts to anything intriguing. 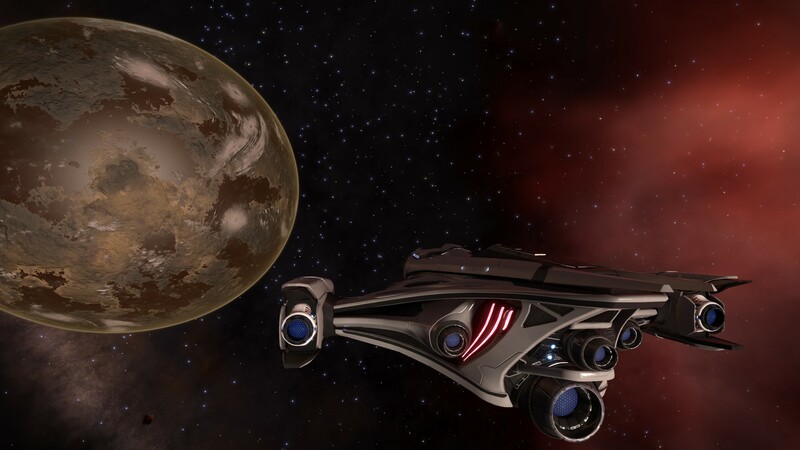 We have discovered another Earth-like world, and an Ammonia world on our way back. 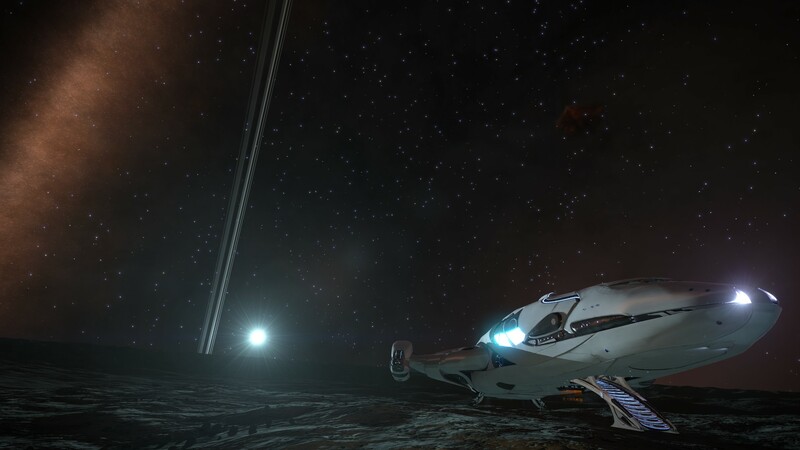 The HSV Honor did not encounter anything out of the ordinary when approaching the Ammonia world, as we were expecting something from advisement from the Galnet reports. 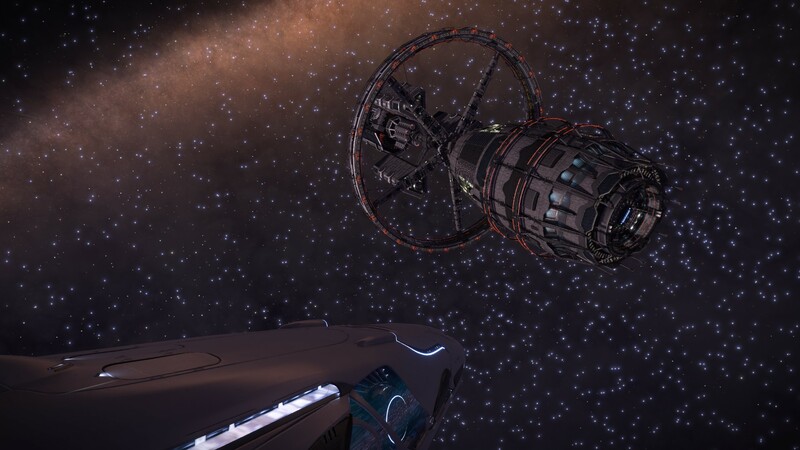 I see the transmission of our journey has reached you, that should stay updated as Mattastan United INC. partners with the August Exodus expedition. We are enroute to the The Wind Chime Nebula, waypoint number eight on the expedition. The journey back towards the bubble has been intriguing thus far. 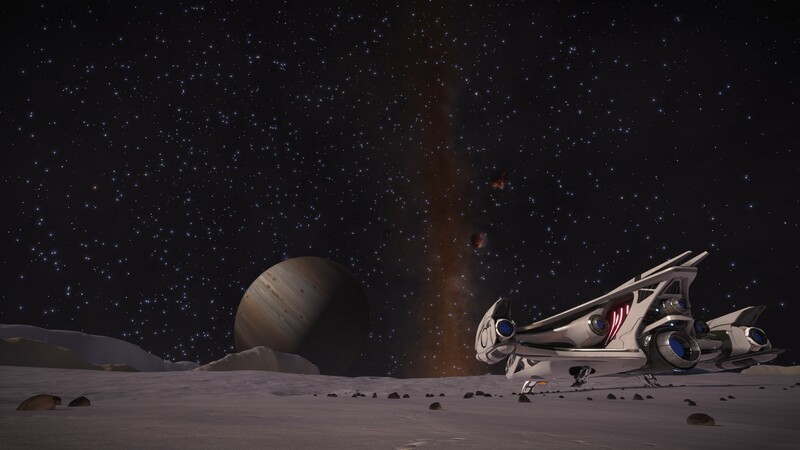 The HSV Honor has encountered a number of photogenic sites that can now be captured with the aid of an SRV. 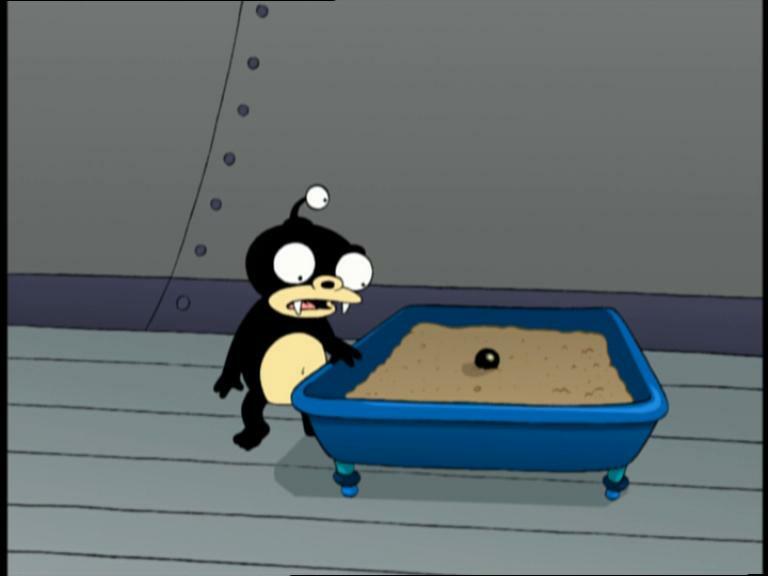 With the addition of a surface scanner it is easier to identify planets that hold Jumpolium. Earth-like Worlds, Ammonia Worlds, and Water Worlds seem to be in abundance along this space way. 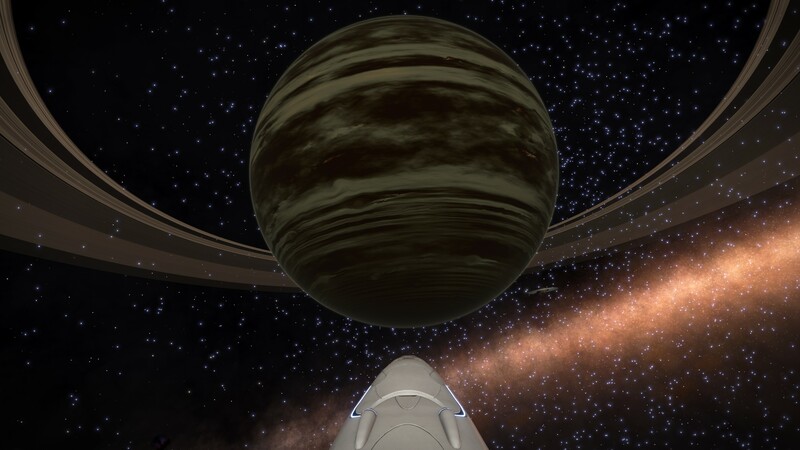 We even came to discover an Ammonia gas giant with ammonia based life. We did not venture further as flashbacks of the messes the Xihe Companions wrought flashed back into our minds. Unfortunately for us, curiousity did get the better of us. 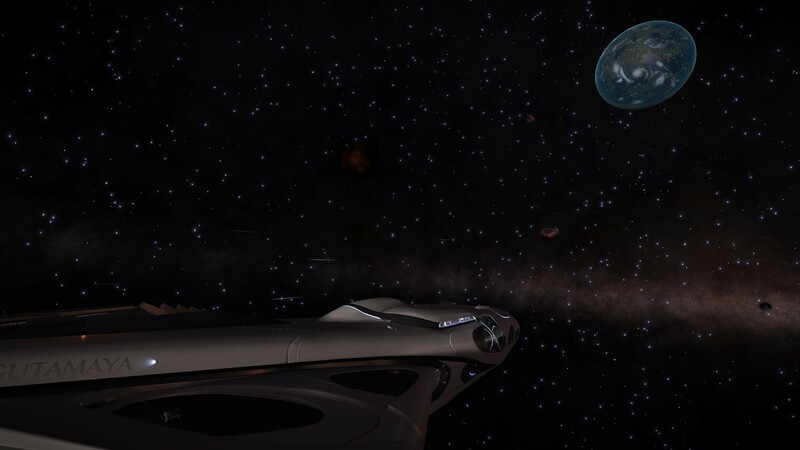 While investigating a Brown Dwarf with a huge ring system the HSV Honor ventured too close. With our shields down we were flung into the rings. Carefully navigating around the rocky maze we were able to make a path towards our next FSD vector. Within the next system we set the HSV Honor down and began to assess the damage. Everything was had taken a hit, but we were able to repair most systems with the ARM. Except for the Power Plant and Hull. The damage will serve as a scar of reminder that we are far away from home still. You never litter-box trained the companions?